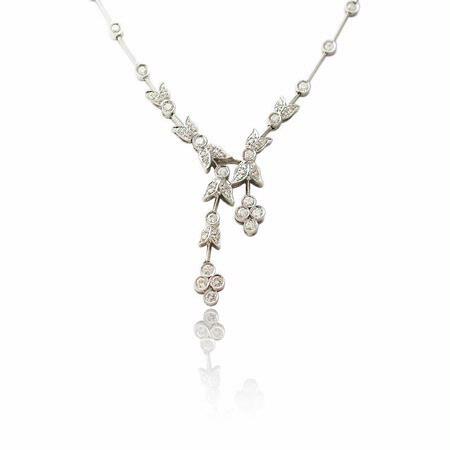 This unique antique style 18k white gold necklace, designed in Italy, contains 76 round brilliant cut white diamonds of F color, VS2 clarity and excellent cut and brilliance weighing 1.90 carats total. A significant amount of detail has been incorporated into the design of this timeless antique style necklace. 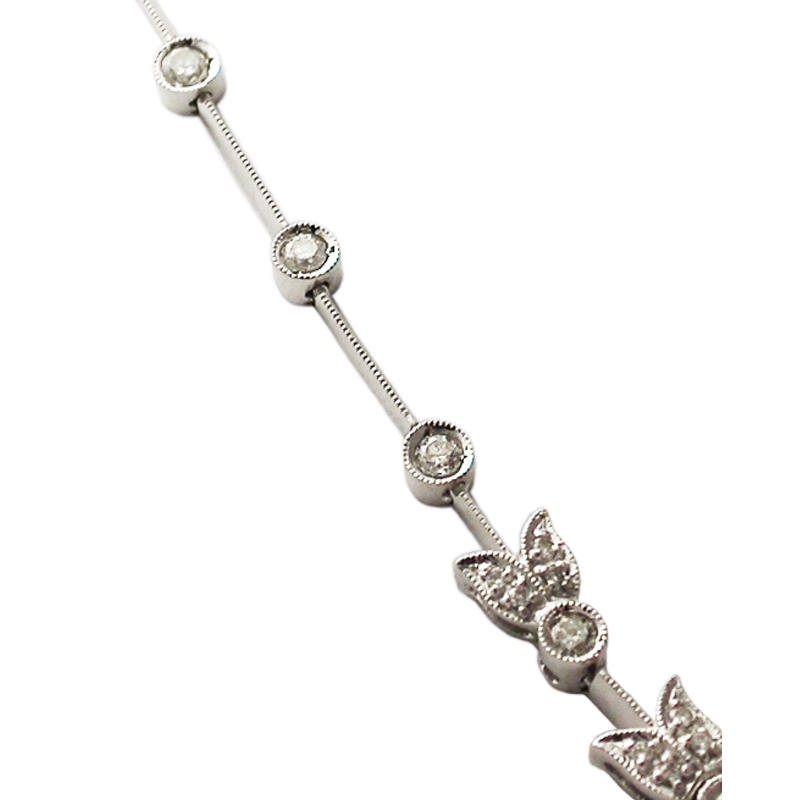 The necklace measures approximately 16 inches in length.